Eyes all over the world feast on this beast, the Lamborghini Centenario Roadster. 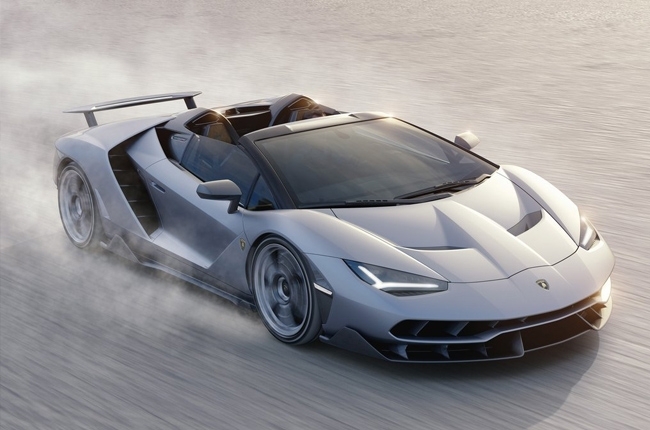 Lamborghini unveiled the Centenario roadster, the open top version of the Centenario Coupe, at this year’s Monterey Car Week. 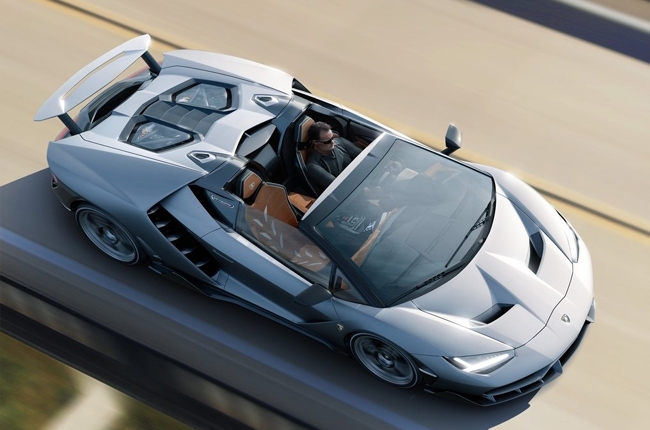 The Italian automaker said that the Centenario roadster is made to honor the brand’s founder, Ferruccio Lamborghini. Just like its coupe version, only 20 units of the Centenario Roadster will be sold worldwide, which makes it a hot car for patrons and collectors. Designers of this special edition vehicle were given artistic freedom to create something that represents the qualities of Lamborghini’s visionary founder. Stefano Domenicali, Automobili Lamborghini Chief Executive Officer, said that they pride themselves on the relentless pursuit of experimentation. Domenicali added that the Centenario roadster embraces the freedom of a true open-top super sports car. This unique engineering achievement is a befitting tribute to Lamborghini’s extraordinary past and a preview of its brilliant future. Centenario Roadster embraces the cutting edge characteristics of its coupé sibling and embraces the freedom of a true open-top super sports car for a pure drive experience,” he added. The Centenario roadster also shows the new design direction of the Italian marque. It features a low front and rear overhang along with new body-colored side skirt accents. This creates a sharp yet sensual appeal in a mono-body shape. Moreover, Lamborghini says the vehicle is designed with improved drag, downforce, and engine cooling. Majority of its exterior parts are made up of carbon fiber which includes the front bonnet, door panels, front splitter, side skirts, wheel arches, and rear diffuser. On the other hand, the rear wing can extend up to 150mm and can rotate up to 15 degrees, depending on the vehicle’s dynamic condition and ‘Drive Mode.’ The vehicle is finished off with 20-inch front and 21-inch rear forged aluminum wheels wrapped in Pirelli PZero tyres. The interior can be fully customized with any color and finish through Lamborghini’s Ad Personam personalization program. However, entertainment and navigation are via a high definition 10.1-inch touchscreen head unit, which can be used to connect to e-mail, social media, and other online applications. This infotainment system is also installed with Apple CarPlay for calls, navigation, and music through iPhone integration. 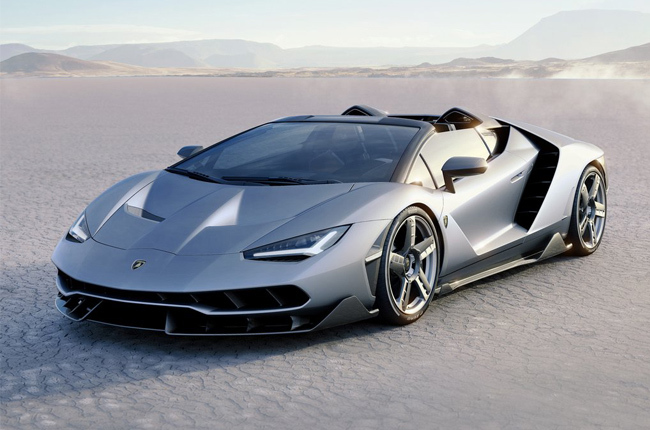 At the heart of the Centenario Roadster is the same V12 engine of the coupe version that can produce up to 770 hp. Lamborghini claims that it can go up to 350 km/h and can accelerate from 0 to 100km/h in just 2.9 seconds. 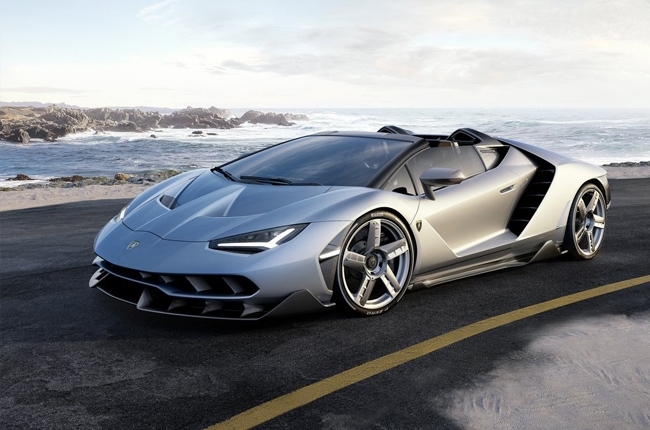 The Centenario Roadster, along with the coupe version, will be produced as limited edition models through 2017. It will be sold to collectors and enthusiasts around the world. For more information about Lamborghini and its vehicles, visit the AutoDeal Car Brands page.